Rustomjee Seasons BKC or Rustomjee Seasons Bandra East is the most premium residence launched by Rustomjee at BKC Bandra East in Mumbai. The project is spread within 4 acres land and it comes with 6 towers with all world class modern amenities.The residential areas of the units range from 2000 sq. ft. to 2995 sq. ft. The starting price for these heart-warming and pleasing homes is Rs. 6 crores and it goes up to Rs. 9.10 crores. Rustomjee, one of the leading developers & builders in Mumbai, is coming up with a lavish residential project in Mumbai called “Rustomjee Seasons” which is spread across an expansive 4 acres. The residential units come in the configuration of 3 BHK, 3.5 BHK and 4 BHK. These towers are 24 stories each with four apartments on each floor. 3 Bedroom flat has a saleable area of 2000 Sq Ft. , 3.5 BHK flat has a saleable area of 2265 Sq Ft. & 4 BHK homes covering saleable area of 2665 Sq Ft and 2995 Sq Ft. The residential layouts have been made taking care there is ample sunlight, air and ventilation flowing through. Wide balconies and large windows make the living very refreshing in these residences. Rustomjee Seasons Mumbai is among the prominent residential project of Rustomjee Developers at Bandra East in Mumbai. 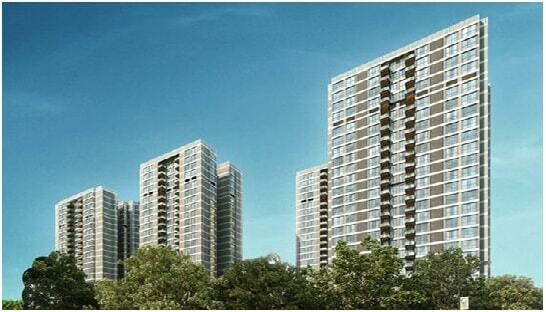 Rustomjee Seasons BKC Mumbai is located very close to DhirubhaiAmbani International School. It is barely 5 km from Airport and 10 minutes from Bandra Railway Station.The famous California Kitchen Pizza is in very close accessibility. American School of Bombay, Mumbai Central Business District, etc. are in a close proximity. The location is surely unbeatable and offers easy access to all important destinations across Mumbai. This place is also very well connected via Metro and other modes of public transport. Good multi-speciality hospitals, pubs, restaurants, bars, schools, institutes, shopping malls, banks, ATM’s, etc. are in the close vicinity of this place. The location of this luxurious development is at N. Dharamadhikari Road, Gandhi Nagar, Bandra East, Mumbai, Maharashtra. The "Seasons" has ample of amenities and facilities such as Children Play Area, Kids Pool, Indoor Games Area, Library, Club House, Jogging Track, Lawn Tennis, Badminton Court, Pool Table, Squash Court, Table Tennis, Card Room, Exercise Plaza, Gymnasium, Party Hall, Swimming Pool, etc with a good arrangement for security system and water supply. Schools: - DhirubhaiAmbani International School, Holy Cross High School, Mumbai Utkal English High School, Mary Immaculate Girls' High School, Kalina. Shopping Malls: - Link Square Mall, M&R Shopping Mall, Shoppers Stop. Movie Theatres: - RNA Cinemax, Gemini Cinema, Delux Theatres pvt.ltd, Le Reve Cinemas. Hospitals: - Fauziya Hospital, Kohinoor Hospital, V Care Hospital & Intensive Care Unit, Asian Heart Institute, Sushrut Hospital & Research Centre, Rajawadi Hospital. Restaurants: - Masala Library, Hotel Bombay Skyway, Trident Hotel BandraKurla, Deluxe Restaurant, Busago, Pondichery Cafe. Banks/ ATMs: - SVC Bank, Bharat Bank,Union Bank ATM, HDFC Bank ATM, Vijaya Bank ATM,The Mumbai District Central Co-Op Bank Ltd.
Railway Stations: - Bandra Terminus, Mahim Junction, Kurla Railway Station, Chunnabhatti railway station.